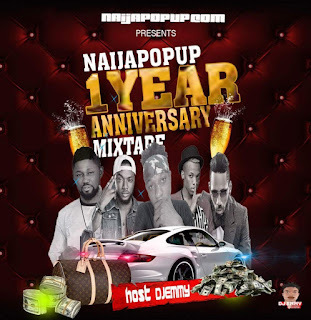 Oya Stand Up as Naijapopup Media mark 1st year of existence 25th November Here is Naijapopup 1st Year Anniversary Mixtape Which is consite of good music and banger mix by Super Most Rated Jockey Dj Emmy. Crab Your Mobile and Click Download Link and Dance away Your Sorrow. 0 Response to "MIXTAPE: Dj Emmy – NaijaPopUp 1st Year Anniversary Mixtape"